CSIRO is a world leader in receiver design. 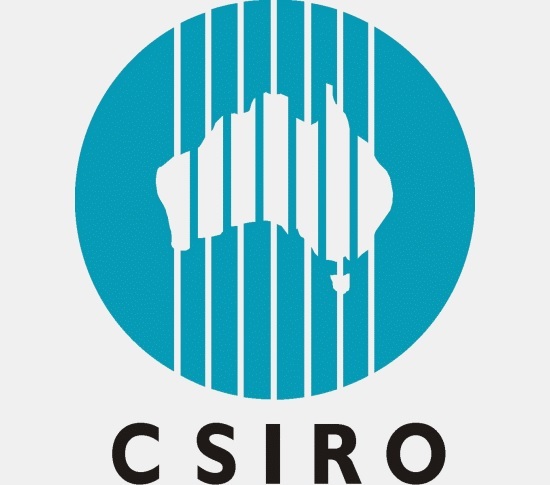 CSIRO and engineers from the Chinese Academy of Sciences recently worked together to develop a receiver for China’s Five-hundred-meter Aperture Spherical radio Telescope (FAST). In addition, the Parkes telescope is following up radio sources detected with FAST. During the early morning hours of Feb. 17, 2018, Chinese scientists emailed data showing evidence of a rapidly spinning pulsar detected with China’s Five-hundred-meter Aperture Spherical Telescope (FAST) to the Fermi Gamma-ray Space Telescope–Large Area Telescope (LAT) team. “One of our collaborators in Germany, who was up at the time, used the FAST data to search in 10 years of Fermi data – and boom! There was the pulsar,” said Stanford physicist Peter Michelson. FAST had detected a faint pulsar with a spin period of just 5.19 milliseconds, and estimated to be 4,000 light-years away – likely the faintest millisecond pulsar ever detected. The discovery was the first of its kind from the collaboration between Fermi LAT and FAST, a partnership spearheaded by Michelson. With Michelson as the principal investigator, the Fermi LAT team, an international collaboration, has discovered hundreds of pulsars since its launch 10 years ago this June. Pulsars are rapidly spinning neutron stars that release beams of electromagnetic waves as they rotate. Similar to the rotating beam of light from a lighthouse, the pulses of energy from pulsars occur at regular intervals ranging from milliseconds to seconds. Large radio telescopes detect pulses in the radio wave range of the electromagnetic spectrum while the Fermi LAT detects pulses in the gamma-ray range. 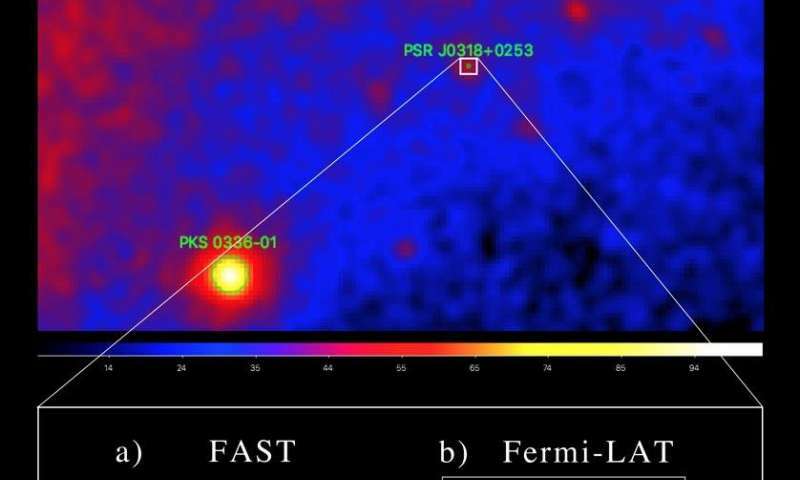 The partnership between Fermi LAT and China’s FAST significantly improves the ability of scientists to detect the faintest pulsars, called millisecond pulsars. The Fermi LAT can detect gamma-rays from suspected pulsars, but can’t determine the rotation period of a rapidly spinning pulsar. That’s where radio telescopes such as FAST come in. When directed to search for radio pulses from the regions of the sky where Fermi detected gamma-rays, FAST can determine the rotation period. But that’s only if the radio telescope is sensitive enough to detect the radio pulses. FAST’s enormous 500-meter diameter dish makes it the most sensitive radio telescope on the planet for this purpose, which means FAST can detect pulsars that other radio telescopes overlook, such as the extremely faint millisecond pulsar detected in February. The Fermi LAT collaboration has been international from the start, involving hundreds of scientists from institutions in the United States, Japan, France, Italy and Sweden. Since its launch, scientists from China, Germany, Spain, South Africa and Thailand have joined the team. 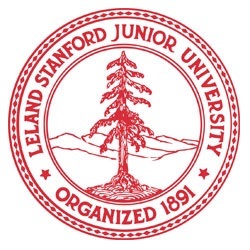 In the spring of 2017, Michelson, who is also the Luke Blossom Professor in the School of Humanities and Sciences, spoke with Chinese physicist Xian Hou about initiating a collaboration with FAST. Hou is a collaborator on the Fermi LAT team and also a scientist at the Chinese Academy of Science’s Yunnan Observatory. To kick off the collaboration, Fermi LAT scientists gave the Chinese team a list of locations in the sky where they had detected possible pulsars. The FAST team looked at a source that had previously been examined by Arecibo, a radio telescope in Puerto Rico operated by the University of Central Florida, but that failed to detect radio pulsations from the source. FAST’s more sensitive equipment succeeded, revealing one of the faintest pulsars detected to date. The discovery demonstrated the capability of FAST to detect pulsars that are too faint to be detected by less-sensitive radio telescopes like Arecibo. “That was pretty exciting,” said Michelson. From a scientific standpoint, the finding is significant because it suggests future discoveries of many more pulsars, which together, Michelson explained, may help detect low-frequency gravitational waves traveling through the galaxy that can modulate the arrival times of pulsations from these sources. Tags: Astronomy ( 7,548 ), Astrophysics ( 4,683 ), Basic Research ( 10,441 ), Cosmology ( 4,874 ), FAST- Chinese Radio Telescope, NAIC/Arecibo Observatory Puerto Rico USA ( 9 ), Radio Astronomy ( 492 ), SETI Institute ( 140 ), The Atlantic Magazine ( 14 ), What Happens If China Makes First Contact? 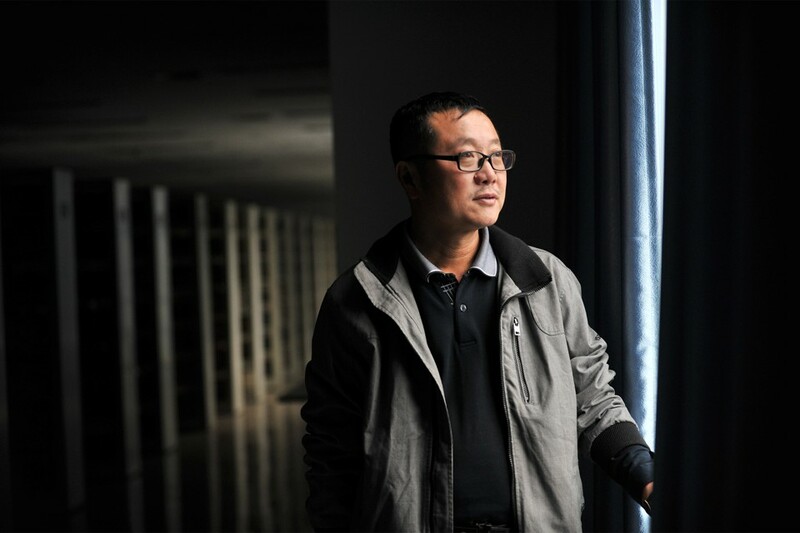 Last January, the Chinese Academy of Sciences invited Liu Cixin, China’s preeminent science-fiction writer, to visit its new state-of-the-art radio dish in the country’s southwest. Almost twice as wide as the dish at America’s Arecibo Observatory, in the Puerto Rican jungle, the new Chinese dish is the largest in the world, if not the universe. Though it is sensitive enough to detect spy satellites even when they’re not broadcasting, its main uses will be scientific, including an unusual one: The dish is Earth’s first flagship observatory custom-built to listen for a message from an extraterrestrial intelligence. If such a sign comes down from the heavens during the next decade, China may well hear it first. We set off again, making our way through a string of small villages, beep-beeping motorbike riders and pedestrians out of our way. Some of the buildings along the road were centuries old, with upturned eaves; others were freshly built, their residents having been relocated by the state to clear ground for the new observatory. A group of the displaced villagers had complained about their new housing, attracting bad press—a rarity for a government project in China. Western reporters took notice. China Telescope to Displace 9,000 Villagers in Hunt for Extraterrestrials, read a headline in The New York Times. In 2015, the Russian billionaire Yuri Milner poured $100 million of his own cash into a new seti program led by scientists at UC Berkeley. The team performs more seti observations in a single day than took place during entire years just a decade ago. In 2016, Milner sank another $100 million into an interstellar-probe mission. A beam from a giant laser array, to be built in the Chilean high desert, will wallop dozens of wafer-thin probes more than four light-years to the Alpha Centauri system, to get a closer look at its planets. Milner told me the probes’ cameras might be able to make out individual continents. The Alpha Centauri team modeled the radiation that such a beam would send out into space, and noticed striking similarities to the mysterious “fast radio bursts” that Earth’s astronomers keep detecting, which suggests the possibility that they are caused by similar giant beams, powering similar probes elsewhere in the cosmos. China has largely focused on the applied sciences. It built the world’s fastest supercomputer, spent heavily on medical research, and planted a “great green wall” of forests in its northwest as a last-ditch effort to halt the Gobi Desert’s spread. Now China is bringing its immense resources to bear on the fundamental sciences. The country plans to build an atom smasher that will conjure thousands of “god particles” out of the ether, in the same time it took CERN’s Large Hadron Collider to strain out a handful. It is also eyeing Mars. In the technopoetic idiom of the 21st century, nothing would symbolize China’s rise like a high-definition shot of a Chinese astronaut setting foot on the red planet. Nothing except, perhaps, first contact. Hey, Greg, thanks for the comment and for obviously reading enough of the article. No one knows who will ever make any kind of contact. The writer is wrong about the U.S. quitting. There is new technology at the SETI Institute, Laser SETI. Big bucks are going into that. I was a small contributor but with a lot of company. SETI@home is still running, That is the U.S. Optical SETI is running. That is the U.S.. Green Bank and the Automated Planet Finder in Breakthrough Listen are the U.S.
FAST is a monumental achievement and will soon be aided with technology from Australia. So, who knows if there is anything out there and who will find it? O.K., back to my movie, “he Circle” on Amazon Prime. You are a good friend to sciencesprings and to me. The images of all the technological devices are amazing, thanks. I do not want to be a downer, but SETI and all the extraterrestrial investigations, while arguably a proper function of science to explore the universe, are a waste of time in validating a naturalistic universe, yet, perhaps surprisingly, could be justified from a Christian perspective. The naturalistic.anti-theistic hypotheses that alien life is likely are totally faith-based and attempts to trivialize the complexity of life and propose its ubiquity. The present origin of life naturalistic speculation is a chaotic mess with no explanation for any of the intractable unsolved problems. 1.Why would God want additional freewilled physical beings? 2.If not free willed, why would such biobots be needed in the universe? 3. If 1., how would they be redeemed in the event of choosing to break God’s universal moral laws, which all have done. 4. All the Bible relates God’s intimate relation with his children of Earth and heaven is dedicated to eternal, singular fellowship, how do they fit into eternity in heaven? 5. Conclusion, the Bible is not lying about human’s singular relation to Jesus and God, there are no extraterrestrials, all the time and volume of space shows God’s power and glory and was needed for us and is not a waste. More importantly for me, I do not include any religious or political influences in what I do or what I think is possible. You obviously believe in G-d, and so do I. This means all things are possible. Maura McLaughlin explains how the electromagnetic signals from fast-spinning neutron stars could be used to detect gravitational waves. 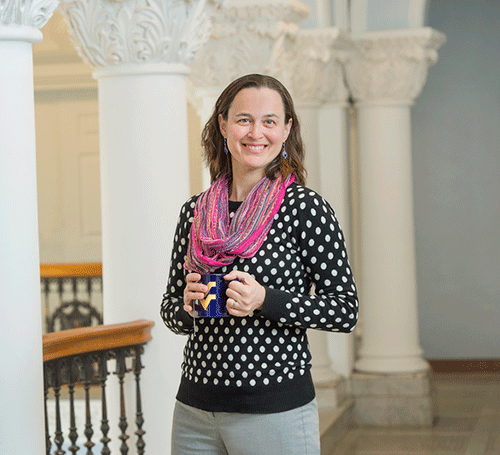 Pulsars captivate Maura McLaughlin, a professor at West Virginia University. These highly magnetized neutron stars flash beams of electromagnetic radiation as they spin. And with masses equivalent to that of the Sun, but diameters seventy thousand times smaller, they are—besides black holes—the densest objects in the Universe. Astrophysicists still have many questions about pulsars, ranging from how they emit electromagnetic radiation to why they are so incredibly dense. But it’s exploiting the highly stable, periodic electromagnetic signals of pulsars to study gravitational waves that currently has McLaughlin hooked. In an interview with Physics, she explained where her fascination with pulsars came from, what gravitational-wave sources she hopes to detect, and why she recently visited Washington, D.C., to talk with members of Congress. With the 2015 detection of gravitational waves, it’s obviously an exciting time to work in astrophysics. But what initially drew you to the field and to pulsars? The astrophysicist Alex Wolszczan. I met him in the early 90s while I was an undergrad at Penn State, and just after he had discovered the first extrasolar planets. These planets were orbiting a pulsar—lots of people don’t know that. I found this pulsar system fascinating and ended up working with Wolszczan one summer as a research assistant. I got to go to Puerto Rico to observe pulsars at the Arecibo Observatory, which is the biggest telescope in the world. The experience was really cool. How do researchers detect gravitational waves with pulsars? The collaboration that I’m part of—NANOGrav—is searching for changes in the travel time of the pulsar’s radio emission due to the passing of gravitational waves. When a gravitational wave passes between us and the pulsar, it stretches and squeezes spacetime, causing the pulse to arrive a bit earlier or later than it would in the absence of the wave. We time the arrival of pulsar signals for years to try to detect these small changes. What gravitational-wave-producing events do you expect to detect with pulsars? Could you see the same events as LIGO did? LIGO is sensitive to very short time-scale gravitational waves, on the order of milliseconds to seconds, while our experiment is sensitive to very long time-scale gravitational waves, on the order of years. We could never detect gravitational waves from two stellar-mass black holes merging—the time scale of the event is just too short. But we will be able to detect waves from black hole binaries in their inspiralling stage, when they’re still orbiting each other with periods of years. Also, our approach can only detect black holes that are much more massive that those LIGO observed. Our primary targets are supermassive black holes, even more massive than the one at the core of the Milky Way. LIGO is basically probing the evolution and end products of stars, whereas our experiment is probing the evolution of galaxies and the cosmos. We’ll be able to look way back in time at the processes by which galaxies formed through mergers. The first detection of gravitational waves was front-page news. What impact has it had on your research? I, and others in NANOGrav, got lots of condolences after LIGO’s detection, like “oh we’re sorry you weren’t first.” But it’s been good for us. It has really spurred us on to make a detection. And it has made us more optimistic—if it worked for LIGO it should work for us, as our methods are rooted in the same principles. None of us doubted gravitational waves existed, but as far as funding agencies and the public go, LIGO’s detection makes a big difference. Now people can’t say, “Who knows if these things exist?” or “Who knows if these methods work?” LIGO’s detection has shown they do exist and the methods do work. Apart from doubters, what other challenges do you face with your pulsar experiment? Right now, our most significant challenge is that our radio telescopes are in danger of being shut down. Both Arecibo and the Green Bank Telescope (GBT) in West Virginia are suffering significant funding cuts. Many of our NANOGrav discussions lately are about what we can do to retain access to these telescopes. Losing one of these telescopes would reduce our experiment’s sensitivity by roughly half and increase the time to detection by at least several years. If we lose both, our project is dead in the water. Arecibo and GBT are currently the two most sensitive radio telescopes in the world . I think its crazy that they are possibly being shut down. What are you doing to address the problem? I recently spent two days on Capitol Hill in Washington, D.C., talking to senators and House representatives trying to make the case to keep GBT open. Most of the politicians actually agreed it should stay open; it’s just a matter of funding. Science in general just doesn’t have enough funding. How do you frame the issues when talking to politicians about science? I try really hard to stress the opportunities for training students, the infrastructure, and the number of people who work at these telescopes. The technologies developed at the facilities are cutting edge and can be used for more than studying space. The science is incredibly interesting, but that in itself doesn’t always appeal to everybody. With the current administration, arguments of US prominence are also really valuable. China [has built ans is operating] a bigger telescope than Arecibo, and soon we won’t have the largest radio telescope in the world. Right now we are world leaders, but if the US wants to keeps its dominance then these telescopes have to remain open. With the challenges you face, what would you say to someone thinking of joining this field? Despite uncertainties with the telescopes, the future is bright. Now is a really good time to join the field: we’re going to make a detection any day now. The recently completed Five-hundred-meter Aperture Spherical radio Telescope, or “FAST,” occupies a valley in the southwestern Guizhou province of China. With a diameter of 500 meters, this monstrous telescope is almost 200 meters wider than the famous Arecibo Observatory in Puerto Rico. And now FAST will join the Breakthrough Listen SETI project to “listen in” on the strange star. Though the likelihood of actually finding any chatty aliens around the star is slim, great mystery still surrounds the cause of some dramatic dimming events. NASA’s Kepler space telescope recorded these events as transits that caused the star to dip in brightness of up to 22%. Kepler looks for exoplanets by detecting their transits (i.e. as a planet orbiting another star passes in front, blocking a tiny fraction of starlight). Typically, these transit events block a fraction of one percent of starlight. Add to these unprecedented transit events the fact the star has apparently been dimming for over a century, and astronomers have been presented with a quandary: what is blocking the light from Tabby’s Star? One hypothesis put forward is that the dramatic transits were caused by a cloud of comets, but that explanation has fallen short of proving the source of the anomaly. Most likely is that Tabby’s Star’s weirdness is being caused by some overlooked phenomenon, or a completely new natural phenomenon that has yet to be understood. But say if the cause isn’t natural? What if there’s an advanced alien civilization building some kind of “Dyson Sphere”-like structure — basically a star-enshrouding solar array that is designed to harness all the star’s energy? 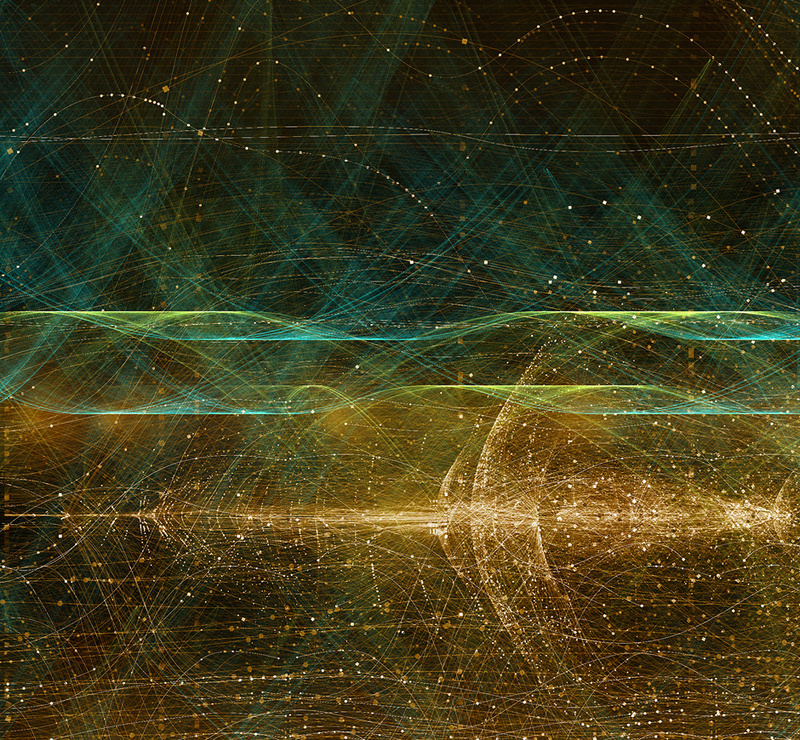 Unlikely as it may sound and, as Occam’s Razor dictates, aliens are the least likely explanation, Breakthrough Listen will study the star and it now has a powerful new tool to add to its growing arsenal of radio antennae. It was announced that FAST would be joining Breakthrough Listen earlier this month, and now it looks like hopes are high that it will be committed specifically to the monitoring of Tabby’s Star despite a busy observing schedule. Although it’s uncertain when FAST will be joining the effort to study Tabby’s Star — one unnamed source indicated it could be up to two years before FAST will focus on the effort — Beijing Planetarium director Zhu Jin pointed out that it wouldn’t be hard for FAST to participate as the telescope’s very wide viewing angle and individual steerable dish tiles would let it observe Tabby’s Star while carrying out other science. China’s Chang’e 4 mission to the far side of the moon, planned for sometime before 2020 could eventually lead to the placement of a radio telescope for use by astronomers, something that would help “fill a void” in man’s knowledge of the universe, according to Zou Yongliao with the Chinese Academy of Sciences’ moon exploration department during a September 2015 interview on state broadcaster CCTV. Radio transmissions from Earth are unable to reach the moon’s far side, making it an excellent location for sensitive instruments.China’s increasingly ambitious space program plans to attempt the first-ever landing of a lunar probe on the moon’s far side, a leading engineer said. Zou said the mission’s objective would be to study geological conditions on the moon’s far side. Topography of the near side (left) and far side (right) of moon shown below. On the map white and red colors represent high terrains and blue and purple are low terrains. Meanwhile, back on Earth, China has constructed reflection panels for the world’s biggest radio telescope, the Five hundred meter Aperture Spherical Telescope (FAST). This radio telescope with an aperture of 500 meters is under construction in a natural basin in Guizhou Province. The telescope-under-construction has thousands of reflection panels; eventually the positions of these panels can be adjusted simultaneously to better receive radio waves from moving celestial bodies. The radio telescope will be twice as sensitive as the Arecibo Observatory operated by the United States. (Interestingly FAST was previously announced to become 3-times as sensitive, this is either a simple typing error or an adjustment in expectation.) The new telescope is also capable of collecting data even from the outer rim of the solar system. The telescope should be finished and installed by September 2016. As said, once successfully constructed the telescope will become the world’s largest and most sensitive radio telescope. It seems that the two sides of the moon have evolved differently since their formation, with the far side forming at cooler temperatures and remaining stiffer while the Earth side has been modified at higher temperatures and for longer. This information is extremely important for theories on the formation of the moon, of which the current favorite is the “Giant Impact” hypothesis. The Giant Impact idea is that four and a half billion years ago a planet the size of Mars [Theia] rammed Earth, kicking enough debris into orbit to accrete into an entirely new body. New research from geophysical scientist Junjun Zhang and colleagues at Origins Lab at the University of Chicago, suggests that the giant impact hypothesis of the creation of the Moon might be wrong. The team found that in comparing titanium isotopes from both the moon and the Earth, that the match is too close to support the theory that the moon could have been made partly of material from another planet. On the other hand, the researchers found that the Moon did show a similar composition of the silicon isotopic composition as the Earth. However, it, too, is much smaller than the Earth—about one-fiftieth as large as the Earth and about one percent of the Earth’s mass—making it even less likely to have been able to generate enough pressure to form an Earth-like iron core. This research was the first of its kind using isotopes in this manner and offers intriguing insights into the creation of Mars, the Earth, and the Moon. It may also help explain how life evolved on the Earth and whether or not it might have existed at some time on Mars..
Because the moon is tidally locked (meaning the same side always faces Earth), it was not until 1959 that the farside was first imaged by the Soviet Luna 3 spacecraft (hence the Russian names for prominent farside features, such as Mare Moscoviense). And what a surprise -­ unlike the widespread maria on the nearside, basaltic volcanism was restricted to a relatively few, smaller regions on the farside, and the battered highlands crust dominated. A different world from what we saw from Earth. China’s next lunar mission is scheduled for 2017, when it will attempt to land an unmanned spaceship on the moon before returning to Earth with samples. If successful, that would make China only the third country after the United States and Russia to have carried out such a maneuver. A powerful new 19-beam telescope receiver made and built by our engineers will lie at the heart of the world’s largest single-dish telescope. Half a kilometre wide, China’s new radio telescope is 195 metres wider than the Arecibo Observatory, famously used in several high profile movies throughout the 1990’s, including James Bond’s ‘GoldenEye’, and ‘Contact’, starring Jodie Foster as a SETI scientist. The ‘Five hundred metre Aperture Spherical Telescope’ (FAST) being developed by China’s leading astronomical research organisation (NAOC) will be the biggest ever created when it is completed later this year. It will also be one of the most sensitive, able to receive weaker and more distant radio signals, helping to search for intelligent life outside of the galaxy and explore the origins of the universe. While the half-kilometre FAST dish might have been made in China, the receiver — the eye at its centre — was made here in Australia. A fish-eye of the FAST reflector cable-net. The receiver detects the radio waves and was built by our engineers, following an agreement with the National Astronomical Observatories of the Chinese Academy of Sciences (NAOC) in China. Most radio telescopes use receivers that can only see one piece of the sky at a time but our scientists have designed receivers with many separate, simultaneous beams making it practical to search a large portion of the sky for faint and hidden galaxies. “The powerful 19-beam design we’ve created for FAST was possible because of our previous experience in designing and building receivers, including the 13 beam receiver developed for our own Parkes telescope,” Dr Douglas Bock, Acting Director at CSIRO Astronomy and Space Science said. “Once FAST is finished and the receiver installed, it will be the most sensitive radio telescope in the world, three times more sensitive than the Arecibo Observatory,” Dr Bock said. FAST provides China with the technology to search for a range of signals including detecting thousands of new pulsars in our Galaxy and possibly the first radio pulsars in other galaxies. Our collaboration with China follows a similar agreement with Germany, where our award-winning Phased Array Feed (PAF) receiver technology will soon adorn the Max Planck Institute for Radioastronomy’s (MPIfR) Effelsberg telescope in Germany, the largest single-dish antenna in Europe.